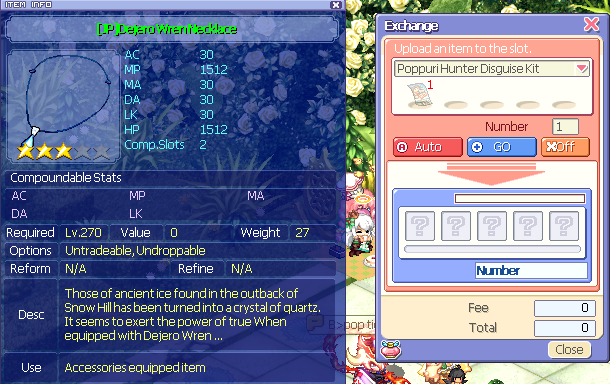 This may seem insignificant, but when I tried to r-click Poppuri Hunter Disguise Kit, it gives me this weird item. Think it's possible to fix? Is it possible to put low level bosses' brooms as reward for that event? Please put long quoting in spoilers so that you do not clutter my patch note unnecessarily. Yes, I can consider broom. Thank you for asking nicely. I love this idea. Hoping GM would grant ths request!!! Thanks for the event GMs and Mods!! Message: Here's a sinful gods prison Tartarus. I, the individual guards length Oceanus -> This is Tartarus - the prison for sinful gods. I am Warden Oceanus. Edited by hovado, 18 March 2018 - 06:51 PM. Can we have any use in old poppuri tickets? Can you add Kitsu boxes in future patch? I like the set and kinda desperate to get that pet. 1) Do spin roullete prizes for active players( like mobile games)!!! The mods, adm, gm do more events in game, like once in a week maybe. Could be bad prizes, but just for fun, to interact with new and old players! Could be like X/O event, Hide and seek event, Card event, Iten event!!! I don't usually voice my opinion on the forum, but we just had a pretty extravagent event. This is a great event idea, and I think it would be great to have in a few months after the GM/Admins get some time to have a break. Additionally, the in-game economy would not be able to support the large influx of free resources if this was to be implemented. The last event already heavily stimulated the in game currency, and would need some time to stabilize. We just had the Poppuri Event, you guys sure like people multitasking on 10 other clients to get their advantage. One more penguin each map, 3 now! 2) Gm certificates are pretty useful for low level players ( free to play players)!! Boxes that have good gears, that are as good or better than altiverse itens!! And can be better then the endgame gears too. Could have 60 box, 120 box, 240 box and 360 box. Each one with it price, and costing a lot of galders. 1)This is just turn the game ultra easy for the players: new players have difficult to find good itens and have a big disadvantage comparing to full cash players. THE GAME NEEDS FREE TO PLAY USERS. People who spend money, spend because there are people that she/he can play with, people to sell itens, to do events with him, and go pvp! If i need to spend 1 year to get full gear, and other people donate and get this in 1 month, what this cash player will do in 11 months? First: I said the prizes can change, it could be better or worse prizes!! Don't need to be like the way i showed, the important was the idea! Second: Active players should have benefit then players who login 1 hour a day? Yesssss, have people in game that spend 12 hours every day, why not benefit them with some prizes? Third: If we put more things in game, they will cost less! If they cost less, galders will have more value, if galders have more value, more people will buy galders, and the galder price can get lower!! 3)People who multiclient will have big advantage in those events: Yeah, that one thing i agree with u, but think it could have some IP thing going on! 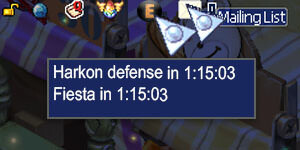 I didnt agree giving spin points to people who afk drill, because i think this is not an active thing. Stay online 1 hour give points, i agree this could be removed, but could have some IP registration on website, where u can link only one account with your IP to count the hour thing. Multi client is bad i agree, poppuri event had people with 20 accounts drilling, thats why i dont really like drill events. I think players should be awarded for playing, not afking. 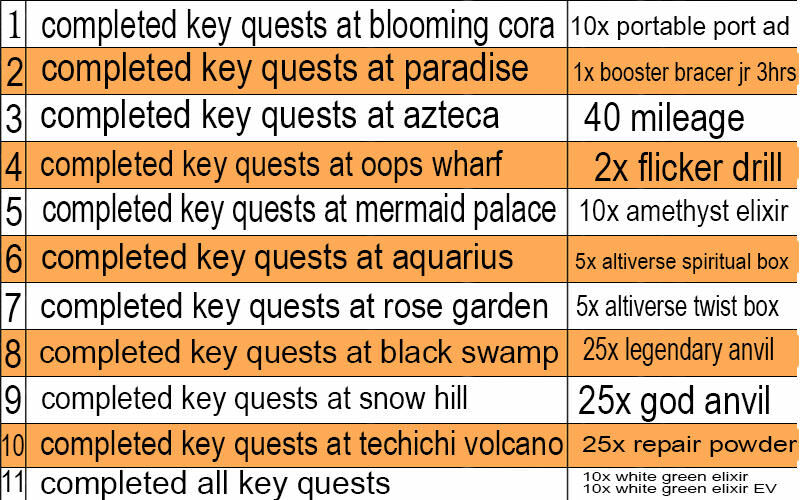 4)Too many rewards for quests: Thats good!! People knowing more about the game, walking more on the maps, doing questies, knowing more people, instead of just grind solo and do fiesta. Plus, more things to get galders, to farm. 5)Too much events: Why this is bad? Events are pretty good, if there are events, u have more reasons to play the game!!! Events are never too much, they entertain people, even those who are in endgame stage, that don't have nothing to do more ingame less then pvp. 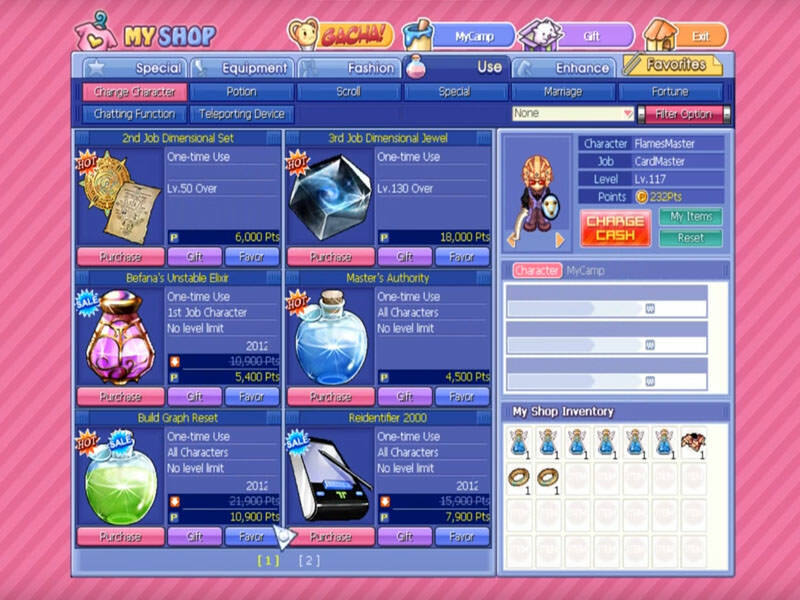 That's the updated myshop style from back on eTO, The one we have now is the old one. I'm sorry, if you didn't even put 5 candles on the pentagram there's no summoning. I bought a Lion tail 300 in AH cause it has DA base Stat in it but when i tried to temper in the website, the DA stat wasn't/can't be tempered. As you can see,DA isn't included in the list (Right picture) which can be tempered. I really wanted this item cause it has base DA. The inclusion of DA in Lion's Tail is a mistake. All tails are supposed to have five base stats, and all other tails do have only five base stats, except Lion Tails. DA is mistakenly included under Lion Tail. DA should not have been included in this tail. DA is included under Fox Tail. If you want DA, for web temper, please get Fox Tail. You may exchange your Lion Tail 300 for Fox Tail 300 with me by sending me your item using AH. DA will not be added to Lion Tail web temper. I will not take out DA from Lion Tails but if disputes arises in the future, I will take it out then. Thanks Ma'am for the clarification! I've sent the link to you Thank you for letting me exchange it! Nobody can tell you what you can or cannot do. Break your limits! Push forward. Determination will put you to place you haven't reached. Go Forth! I am locking this thread. Thank you for all your suggestions.